In gardens and in life it’s best when life gives you lemons, to make lemonade. If you have been gardening for even a short time you know that gardens are ever changing. One of the strongest agents of change in my garden is winter. While I am a huge fan of spring. Sometimes the changes that winter pushes through while we are all comfy and cozy by the fireplace with our loves—are “chilling.” Such was the case this year. Our winter came late, was harsh, warmed up early and then really hit us hard. A few of my roses were not fans and gave up or decided to take their sweet time showing up again. But it was not the roses that took the biggest hit. It was our Winter Gem Boxwood Hedge. Many of the plants in this hedge had been here 10 years, some only 6. Ironically, we loved them especially in the winter when the snow would fall on them. They are gone now … all of them. I cried. As I looked at the blank canvas, Mr G says he saw that gleam in my eyes. I will add a few things this year but will do more in 2019 as it evolves and I live with our new open space. No question, I will miss my hedge and may even plant another one. But, I’m gonna take some time. One of my favorite scriptures is Isaiah 43:19. He’s always got a plan! Hope your week is filled with beauty and a tall glass of homemade lemonade, if you need a recipe to try, my recipe is here. Sure love making lemonade with my boys! This is what we wait all winter for! The Bloom Thyme garden is filled with fireworks and fragrance and we are just getting started! Look at the Rugosas… go ahead, inhale. The fragrance is so strong you can probably smell them from where you are! These iris are from Mr. G’s momma’s garden and we can’t wait to see them each year. I love “pass-along” plants, don’t you! They give us so many garden stories. Mr. G’s tomatoes are on their way to being delicious. And the nasturtium seeds are up! Tiny Zinnias are holding their own among the herbs. They won’t be small long! Stay tuned. And, the garden view I love best… the view from my potting shed (garden office) porch. What a special time I have had in California with these guys and their parents! Family Blessings! I will miss them terribly when I leave this weekend. Wishing you a wonderful weekend and a happy Bloom Thyme Friday. We are definitely making progress! It has been a week of greening and flowering. The birds are loving it and have entertained me all day as I did my own brand of “flittering around the garden” … planting, pruning and even started fertilizing! Roses that were cut back to the ground are coming right along! Whew! Thank goodness! Nasturtiums are soaking before getting planted. Color me grateful, happy and blessed. And… tired — that good kind of tired that comes from time in the garden. Isn’t that the best tired! Now, I’m going to go check on those Dogwoods. I hope they have been saying “no” to frost! Temps are still dipping way down at night! UNTIL NEXT WEEK, HAPPY BLOOM THYME FRIDAY! Glad you stopped by to see what’s going on this year! We are looking forward to a full schedule for 2018 as we learn TIPS, TRICKS & HACKS FOR GROWING ROSES. Our group is made up of people of all ages and stages of growing roses. Some have a few roses and some have hundreds. Some are just getting started and some have been growing roses for 40 years or more. A perfect place to learn and grow. And, you’ll meet the best people! We meet on the 2nd Tuesday of the month at 6:30 in the evening at the Sullivan Munce Cultural Center in charming downtown Zionsville! That is except for special events and they are usually on the weekend. (Schedule below.) Our meetings are open to the public, so invite a friend to join you! 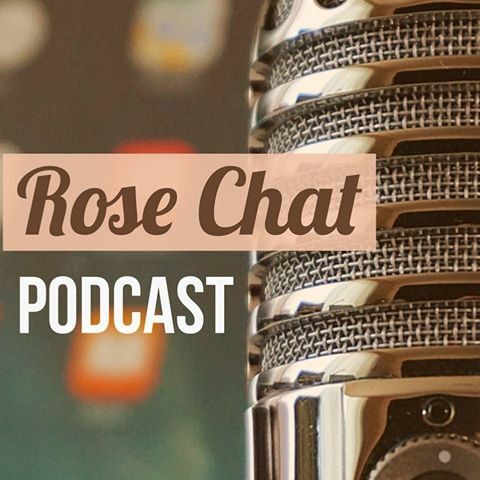 Our time together includes friends, fun, food and loads of ROSE TALK! Door Prizes Too! 2018 PROGRAMS . . .
Diane will share her tips for getting our gardens off to a good start and her vision for the American Rose Society. For more about Diane, read on here. Kevin Allison, Marion County SWCD Soil Health Specialist, will lead a discussion on using the principles of soil health to organically improve soil: Minimizing soil disturbance, maximizing diversity, keeping the soil covered, and providing a continuous living root. Kevin will explore how amendments, diverse mulching and cover crops can be integrated into flower production and preparing new beds. The Earth-Kind testing program is responsible for so many sustainable plants for our gardens. **Round-Table Discussion: What pests are bugging you? Focus on Early Bloomers: Old Garden Roses, Rugosas, as well as the new modern roses etc. FREE AND OPEN TO THE PUBIC! **The Indianapolis Rose Society will have an information booth and will sell roses. **Round Table Discussion: How to care for roses in extreme heat. Mark Nolen and John Hefner will show us techniques for bud grafting roses. **RSVP to Mark at Markbnolen@comcast.net. Linda Kimmel, immediate past president of the Indianapolis Rose Society, will share with us the charm and grace of climbing roses—which ones to grow and how to care for them! **Details are coming together and will be available soon. Costume party (dress as a rose name) and Chili Cookoff. Join us for a holiday party in the Hefners’ holiday wonderland. We will also give out 2018 awards and install our 2019 board. A ‘not to miss’ event — Food, Fun, Outstanding Decor, Awards! MARK YOUR CALENDARS! There is so much to learn and do and it will be more fun if you are there. We are open to the public so invite a friend! And, please share this post on your social media accounts or email to a friend.